CouRage has officially left OpTic Gaming. 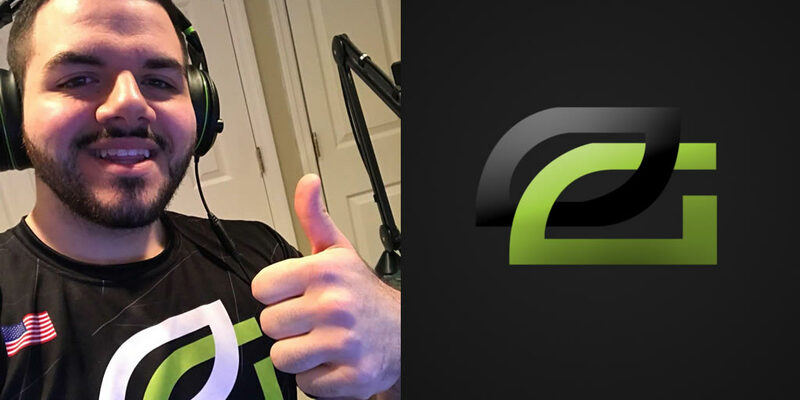 OpTic Gaming took to Reddit to announce that Jack “CouRage” Dunlop will no longer be a part of the OpTic Gaming organisation. CouRage had been a part of the OpTic Gaming organisation since March 12, 2018 a total of 8 months and 4 days. The announcement came out of left field for a lot of OpTic Gaming fans. However, according the organisation they knew this would happen prior to March. CouRage’s personal brand was beginning to outgrow the financial benefits he was receiving from OpTic Gaming. The relationship with OpTic limited the sponsorship’s that CouRage could get. At the same time it also limited the sponsorship’s that OpTic could get without hindering the personal sponsorship’s CouRage had or could pursue. According to OpTic Gaming the two have split peacefully and on good terms. CouRage was a staple in OpTic content over the past few months and will leave a major personality void in the current OpTic Gaming content team. Since joining OpTic, CouRage has grown into the largest content creator in the organisation. CouRage has gained hundreds of thousands of YouTube subscribers all at a time the organisation he was a part of was in turmoil. The announcement has fans suspecting that OpTic will be getting a PC components sponsorship in the near future. CouRage had just signed a sponsorship deal with NZXT, and OpTic is set to announce a “major” sponsorship in December. You can view the official Reddit announcement here.